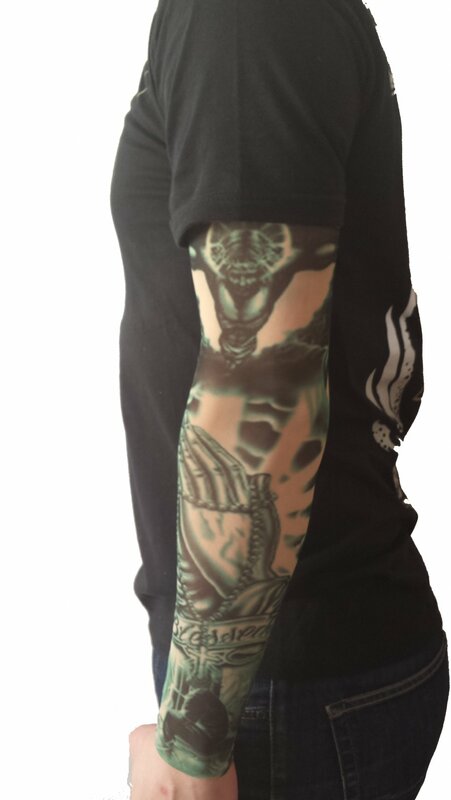 Tattoo Sleeves nylon for sale at a bargain price you can buy online in our online store. A great gadget for you. 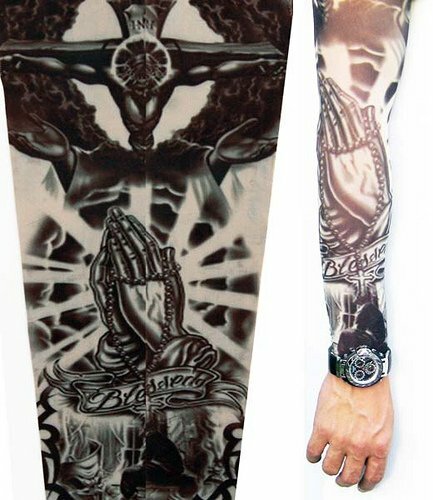 Tattoo sleeves Nylon - Blessed from nylon for sale at bargain price you can buy online in our webshop. Great gadget for you. 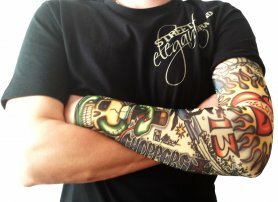 Tattoo Sleeves are made of hi-tech nylon and spandex material that imitate the colour of human skin and are similar to women's stockings. Simply pull on hand and they look just as if you had a real tattoo. With this gadget you certainly get the attention of your friends, or at various parties, clubs, disco etc. 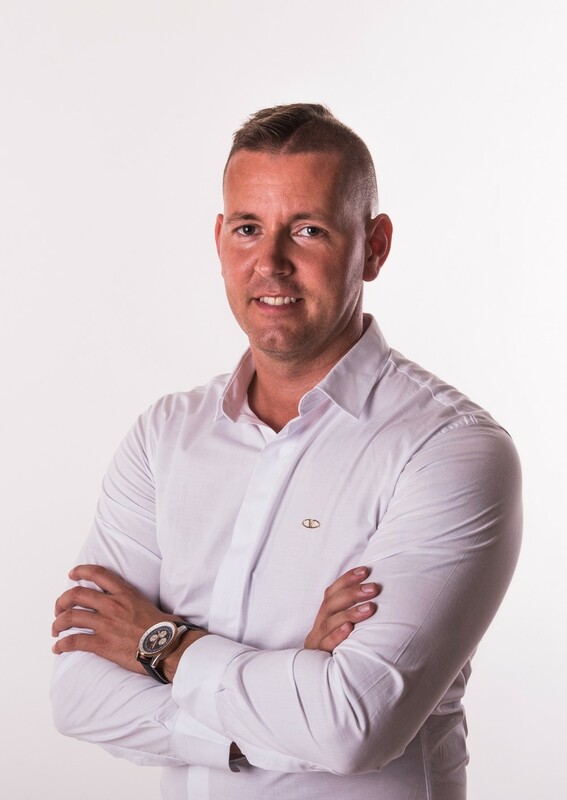 It´s quite hard to find out that it is only a fake tattoo or a fake Kerk. Advantages over classic tattoos are those that tattoo sleeves are cheap, easy to handle and every day you can change other tattoo designs or tattoo motives, according to your mood or outfit. Since the sleeves has arised, their popularity increase and broaden their fans worldwide. 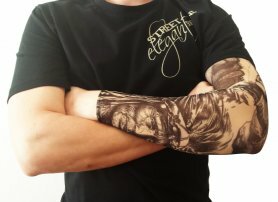 Tattoo on arm without pain? 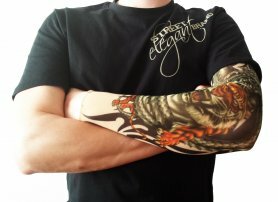 Tattoo sleeves Nylon! 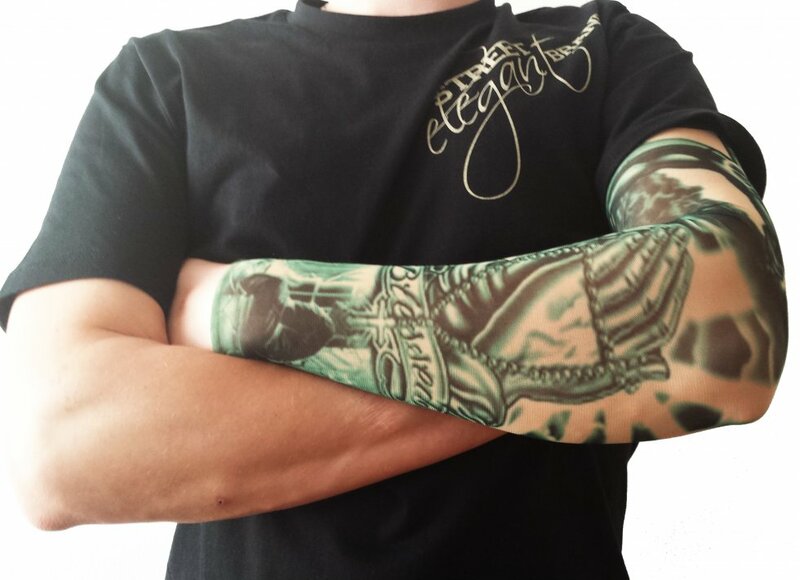 You can choose from our different models and try what it is to wear a tattoo even if it´s false. 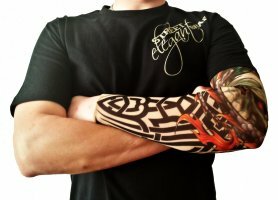 If you want to give a present to your close relativesor friends for little money, tattoo sleeves are certainly the right choice. I am very satisfied with this product because it looks like the original tattoo. I do not have to damage my skin, and when I get tired of design, I can buy a new one. They are very comfortable, I do not even know that I wear it. Best to put a watch that was not visible tattoos end. Best to wear watches, that the end of tattoo will not be visible.